The Samsung Galaxy S7 edge black pearl the latest color variant from Samsung will be available to Indian customers from December 30. The company has listed it on Indian e-commerce site. Galaxy S7 edge black pearl priced at Rs. 56,900 with 4GB RAM and storage capacity of 128GB. Recently Apple has launched iPhone 7 and iPhone 7 Plus with the new color options Jet Black and Met Black which are getting popularity around the world. To compete with the Apple Samsung also decided to come up with new Black Pearl option for Galaxy S7 edge. The new variant offers glossy black panel on its back. The Samsung has to take decision to expand S7 edge lineup with different color option due to having lost sales of Galaxy Note 7 at the ending of this year. The company offers Pink Gold, Coral Blue and Black Pearl color apart from already available choice of Gold, Silver and Black Onyx variant for Galaxy S7 edge. 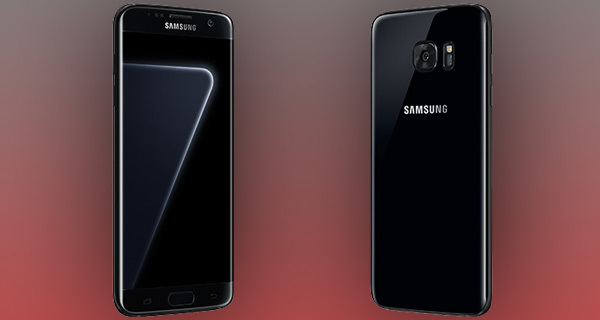 Samsung Galaxy S7 edge is one of the best Android smartphones after ten months of its launch. The smartphone comes with 5.5 inch Quad HD super AMOLED disply with dual curved edges. It is powered by Exynos processor with 4GB RAM and 128 GB storage with Black Pearl option. S7 edge has 12MP rear camera and is capable to record 4K UHD videos. The smartphone comes with 3600mAh battery and runs Android 6.0 Marshmallow.